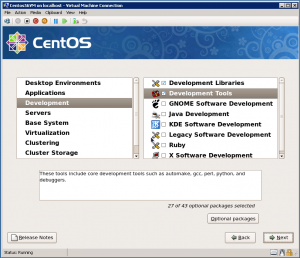 I want to show you how to install CentOS 5.6 Desktop on Hyper-V step by step with mouse support. 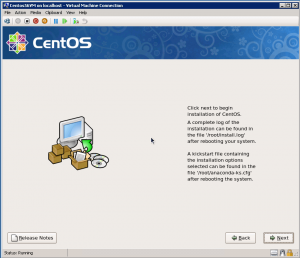 First of all, create a VM on Hyper-V with emulated network card and 1 vCPU. 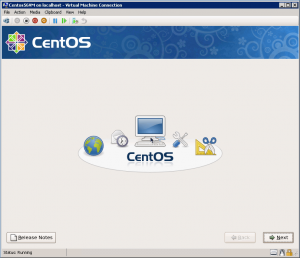 Step 1: Start graphical CentOS installation and click next with space key on your keyboard. 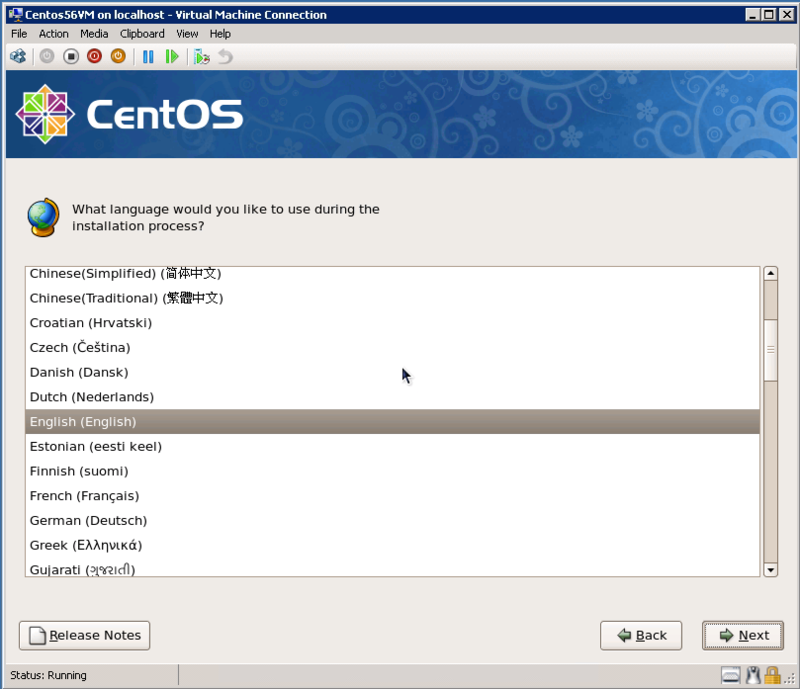 Step 2: Choose language of CentOS. 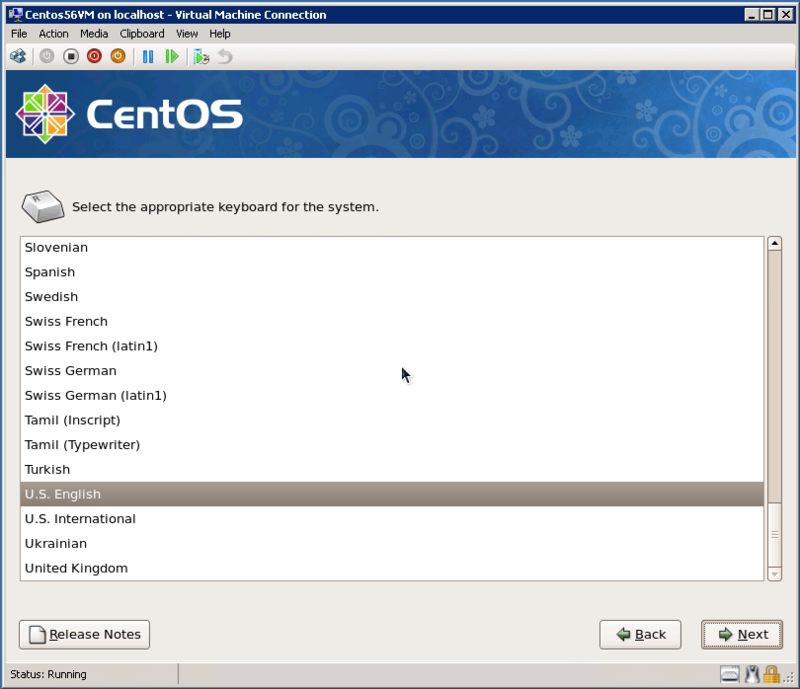 Step 3: Select keyboard language. Step 4: Confirm re-initializing partition. 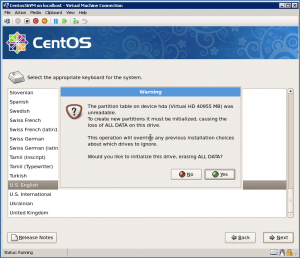 Step 5: Select “Remove linux partitions and create default layout” and click next. 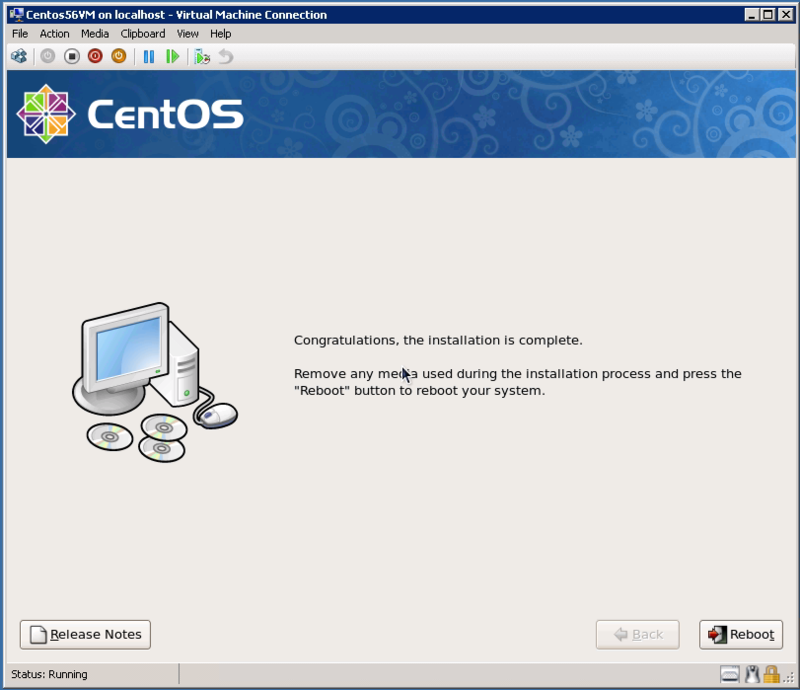 Step 6: Click yes to confirm removing all data. 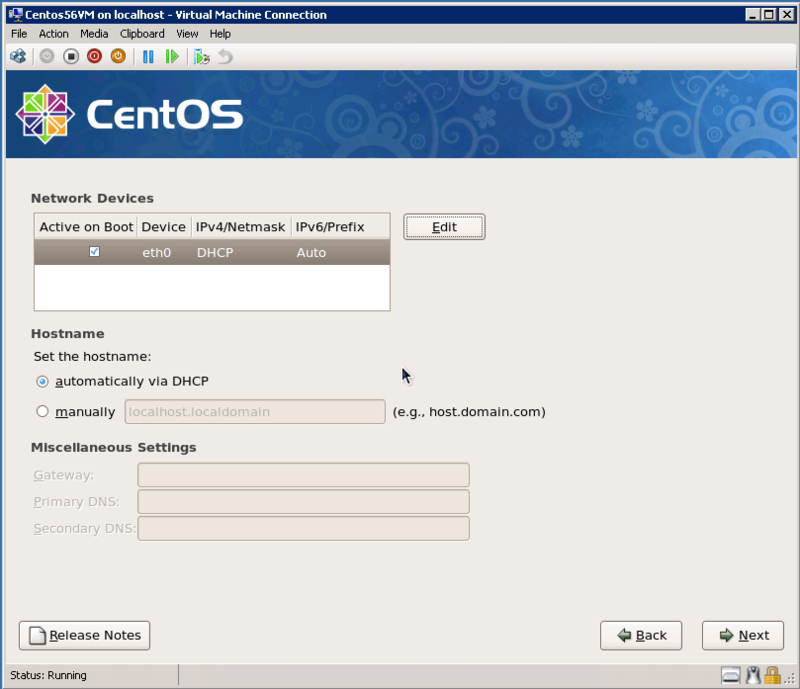 Step 7: Click “Edit” button to configure IP address of the adapter. 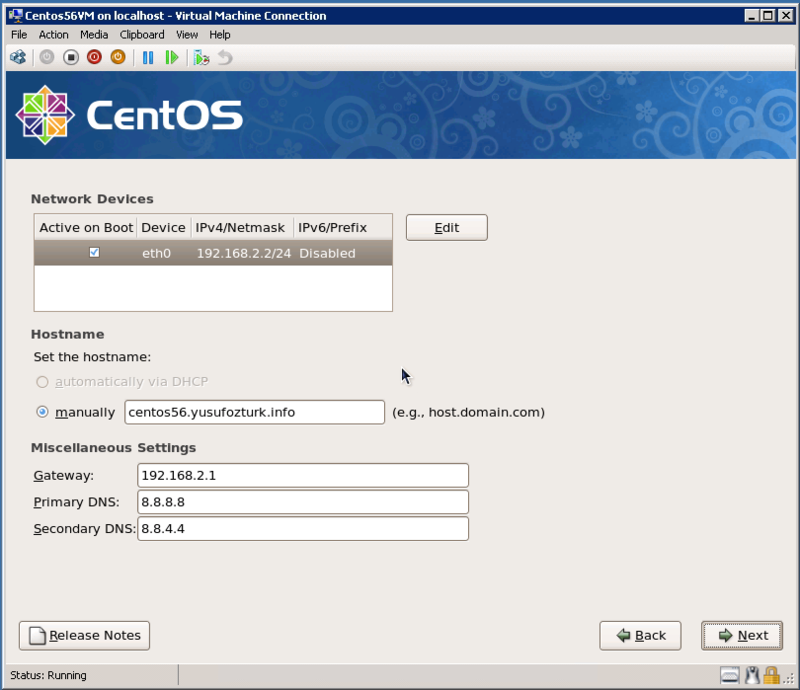 Step 8: Assign IP address and subnet mask for the network adapter. 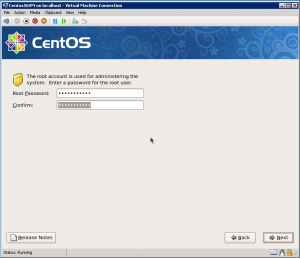 Step 9: Set hostname, gateway and dns addresses. 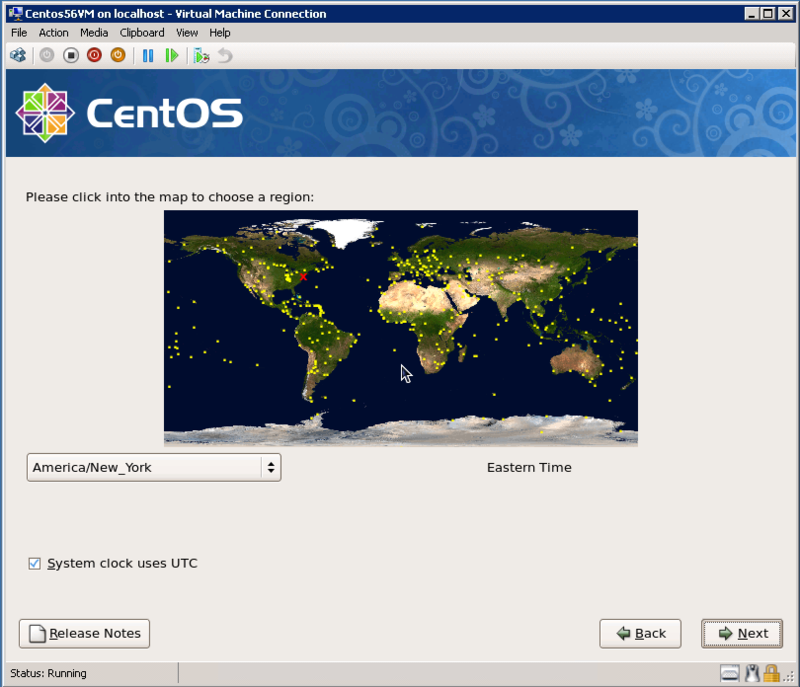 Step 10: Choose your region. 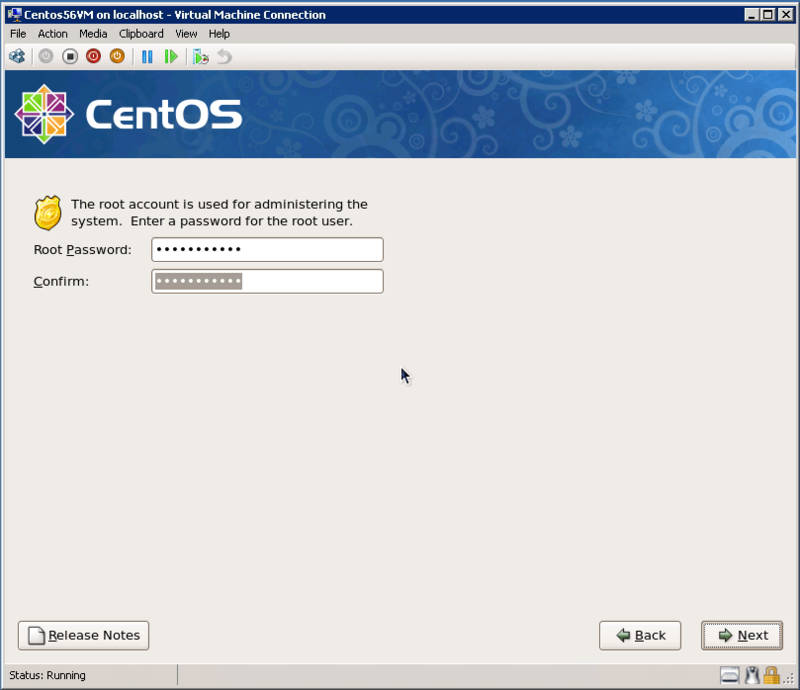 Step 11: Enter a password for VM. 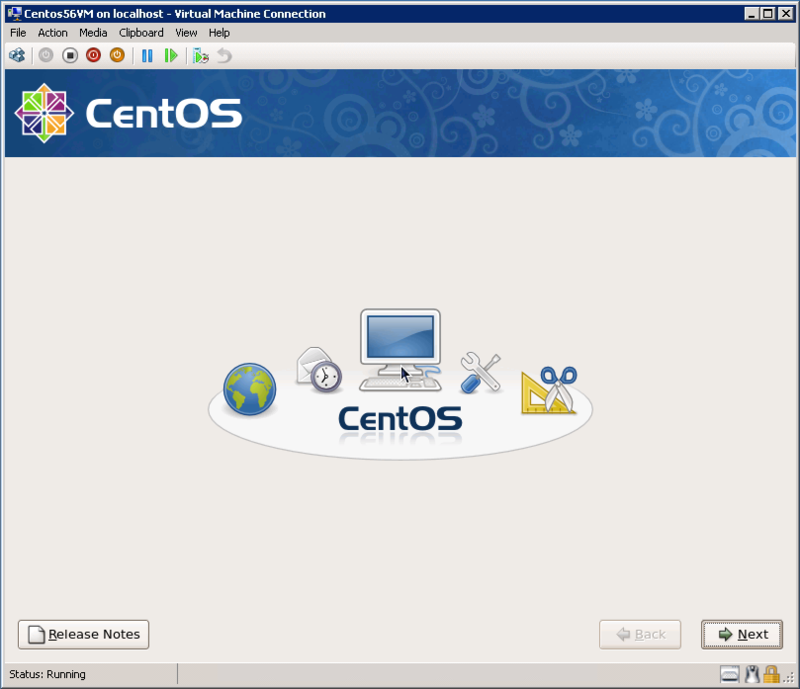 Step 12: Select “Customize Now” to install extra components. 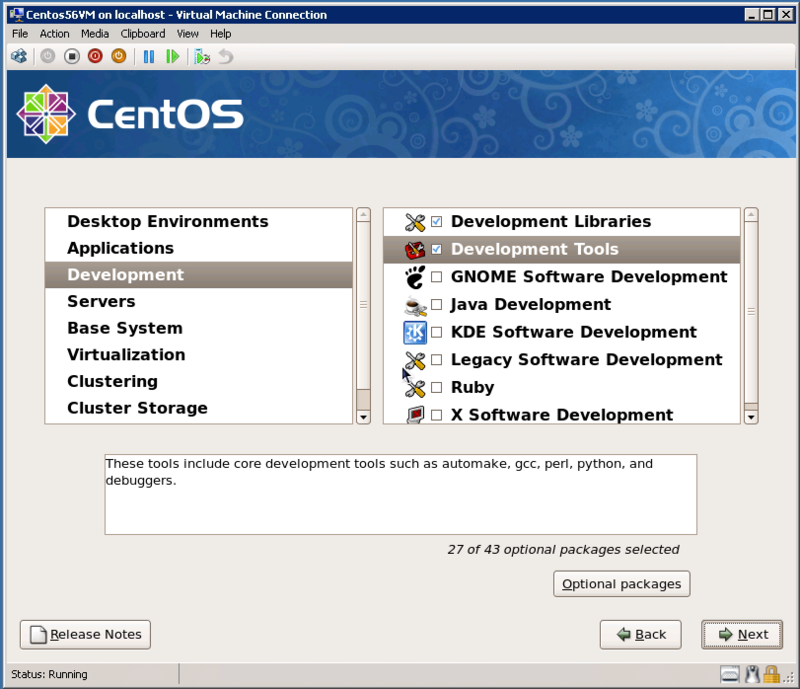 Step 13: Select “Development Tools” and “Development Libraries”. 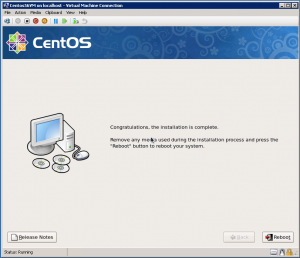 Step 14: Click next to start installation of CentOS. 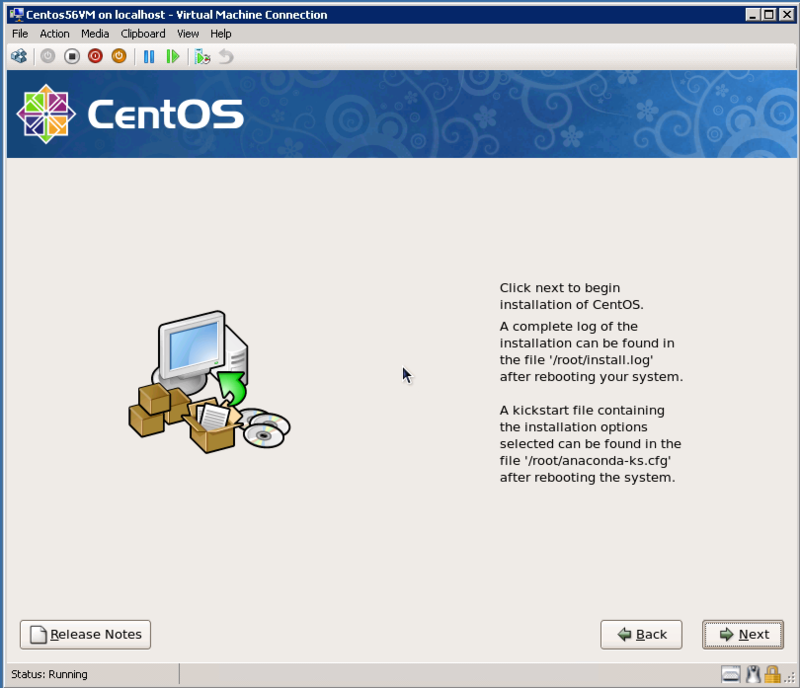 Step 15: If you see this screen, then you finished installation. 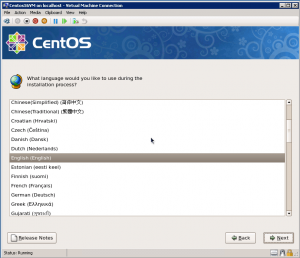 You can continue reading on Part 2.